Guest post by Joanna Puciata, founder of http://healandglow.com/. From pool, to sun, to chemical treatment (and here I mean shampooing and conditioning, not just coloring), straighteners and curlers, your hair is probably screaming bloody murder. Add to it humidity or cold temperatures, and your once beautiful hair seems in need of a major makeover every day, no matter what you do to it. Brunettes? Not really sure, but I take it you probably suffer too. Extreme humidity coupled with heat and cold from constant air conditioning or cold temperatures with dry, heated air puts you far away from the Hollywood gorgeousness. So what can you do to revive your hair? 1. Nourish yourself everyday. When you eat consciously and purposely every cell in your body becomes healthier and more beautiful. That goes for skin, hair and nails as well. Your outside body parts are a reflection of your lifestyle habits. Mineral depleted body produces weak, easily breakable, dull hair. Eat well and the hair becomes bouncier, thicker, and stronger. 2. Take care of your liver. Liver toxicity is responsible for weakened immune system, skin break-outs, slowly growing hair. Each year your liver accumulates about 5 pounds of toxins just from the cosmetics you use. All the parabens, sulfates, fragrances, colors doesn't just get rinsed off with the shower water. They get absorbed through the skin and into the liver where they sit patiently waiting for a detox and fiber. 3. Establish a Weekly Beauty Routine. Remember what I always say; having a spa experience once in a lifetime is great and quickly forgotten, but doing small things consistently every day or every week is what brings you the desired results. And the only way to be able to afford that is to do it yourself using simple pantry ingredients. Make a small investment and buy an inexpensive heating cap. 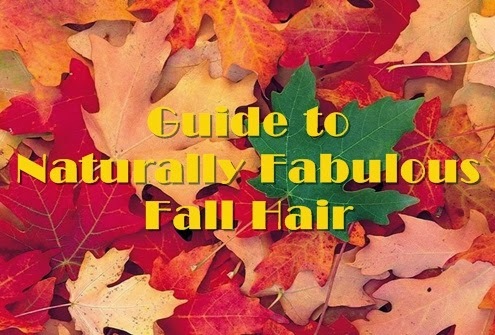 The heat will open-up the hair shaft allowing for deeper and speedier conditioning. Look around for an organic hair stylist in your area to color your hair with gentler colors. Treat your hair. For each treatment put plastic wrap around your head and go about your business for 30 minutes or better yet use the heating cap and relax. Wash as usual. Olive oil treatment: A juice from 1/2 lemon 1 teaspoon of olive oil. Apply to the split ends. Maple syrup treatment: Warm-up 1/2 cup of maple syrup and apply to dry hair. Run a wide comb through it. Coconut treatment: Use a can of coconut milk. Put it in the fridge for the water to separate from the cream. Apply the cream on the dry hair. Use the coconut water in a smoothie. Vitamin C treatment: If you have well water, like me you know how hard it is to maintain the color. Hold on to it by adding 1 teaspoon of Vitamin C to your conditioner. You can use any powdered form of Vitamin C. Ascorbic acid dissolves the iron and alkaline deposits in hard water that cause the color treated hair to turn dull. Keep on for 10 minutes. Apple cider vinegar treatment: 1/4 cup apple cider vinegar 1 tsp baking soda squirt of your favorite shampoo. Mix all together and wash your hair as usual, followed by a conditioner. Aspirin treatment: Crush an aspirin and squeeze the shampoo on the palm of your hand. Wash as usual to get rid off the brassiness. Tea or coffee treatment: 3 bags of black tea brewed in 2 cups of water. Cool and pour over your washed hair. Keep on for 10 minutes, rinse and condition. or 5 cups of brewed coffee. Pour over shampooed and conditioned hair as a leave-in treatment if you wish your color to become deep and shiny. Chamomile treatment: Brew the whole package of chamomile tea in 5 cups of water. Cool and pour over your washed hair. Dry as usual. Guest blogger Health Coach Joanna Puciata is a founder of http://healandglow.com/, holistic skin care and holistic health coaching company with health and beauty in mind. She coaches women at all stages of their life to feel beautiful and glamorous inside and out so they can love and respect themselves without toxic thoughts, products and behaviors. I love this post - thank you! having moved to cali my locks are not happy. I have cut out sulfates but I am slowly moving out the rest. I'm excited to try some of these treatments. Have you heard much about avocado for hair? Thanks!